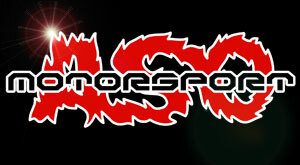 The company «ASO-motorsport» ® It was founded in 2000 in Lviv, Ukraine. The main focus of our work is - automotive technical tuning. We are serious about what we do. A well-designed tuning car should be not only functional and reliable, but also give the maximum pleasure to his owner - it is paramount to us. Our company can build cars that will not leave you indifferent. We are not afraid to take on utopian projects and will be able to realize any of your ideas. We are one of the first who make turbocharged cars from natural aspirated cars, doubling their capacity. Our company has made significant technical tuning more than thirty different vehicles. Over the years, we have gained experience in building sports cars, refurbishing standard cars, turbo engineering in natural aspirated engines, creating unprecedented drag racing cars, improving braking systems in armored vehicles, delivery and installation of a wide variety of tunings parts and components. Our cars took part in various sports competitions in Ukraine and Europe. Currently, we make technical service for many tuning cars from EU countries, such as Poland, the Czech Republic, Slovakia, Hungary, Belarus, Russia, Ukraine. 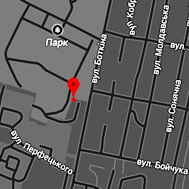 We invite you to cooperate with us! Handle and all your dreams and wishes about your car, we'll make a reality!